A few days ago, Samsung Update reported that Samsung was working on a smartwatch with a built-in SIM card, allowing the watch to be used without being tethered to a smartphone. We expected that watch to be announced at the Samsung Unpacked event on September 3rd, but it appears even Samsung can’t wait that long. Today, Samsung officially announced the Gear S, a 3G connected smartwatch that can perform some of the functions of a smartphone without a bluetooth connection to another mobile device. The watch allows users to to read messages and notifications on screen, and even reply to messages via an on-screen keyboard. 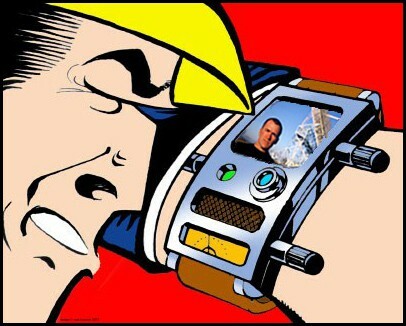 It allows users to make and receive phone calls and forward calls from their cell phone to the watch. It also offers turn-by-turn navigation (walking instructions only), and a 24 hour news service from the Financial Times. In addition to 3G connectivity, the watch offers both WiFi and Bluetooth radios. It includes a suite of fitness apps, and will download collected data to the fitness apps on a Samsung smartphone. Judging by the photos Samsung has released, it strikes us as more stylish than Samsung’s previous efforts, and the curved design will likely fit the user’s wrist better. With a two inch display, it’s still a pretty large watch, though it does appear thinner than most of the competition. It is expected to go on sale in October. pairing it with a Bluetooth headset might be practical. Still, we’re not sure we see too many situations in which we’ll need to be connected, but won’t be able to have a smartphone with us. And we still wonder how carriers are going to price service for this. It seems unreasonable to charge as much as they do for a full smartphone, as data usage will almost certainly be much lower. Regardless, the watch is an impressive technological achievement. It offers up a 1 GHz dual-core processor, 512 MB of RAM and 4 GB of storage. It wasn’t very long ago that those specs indicated a high-end smartphone, and many entry-level smartphones don’t do much better even today. 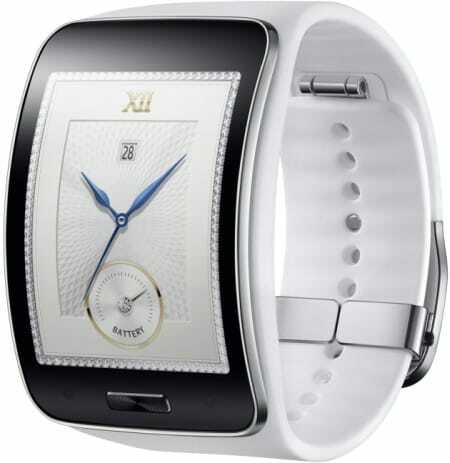 Given the pace of technology, can we expect to see a watch with hardware specs matching a Galaxy S5 in a few years? What do you think? Does a connected smartwatch offer more value to you than a normal one? Will you be buying a smartwatch, from any vendor, this year?